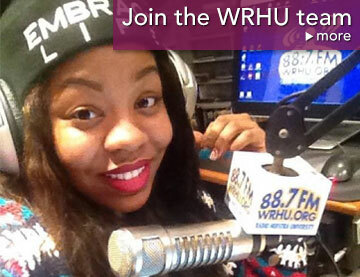 Grow your broadcasting, multi-media, and social media skills at WRHU. 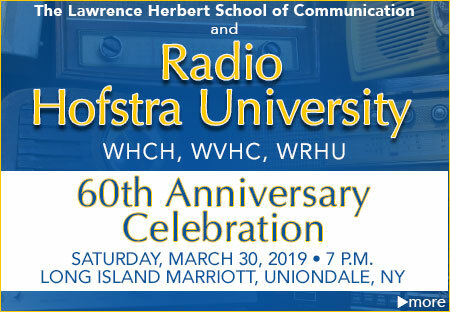 Located in the Lawrence Herbert School of Communication, WRHU is a cutting edge trend setter honored to be the first non-commercial radio station in history to earn a Marconi Award from the National Association of Broadcasters. 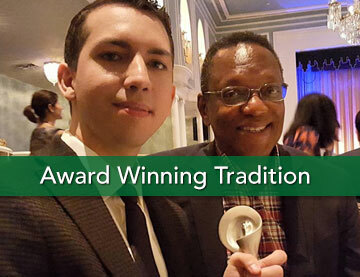 And we’re the only non-commercial station to earn two Marconi Awards (2017 and 2014).WRHU has earned first place rankings from Princeton Review, a Pinnacle Award "station of the year" by College Media Association, and BestColleges.com ranked WRHU #1 college radio station in the nation! No other college radio station in the world can match our deep rich training combined with incredible broadcasting, media convergence, and social media opportunities. 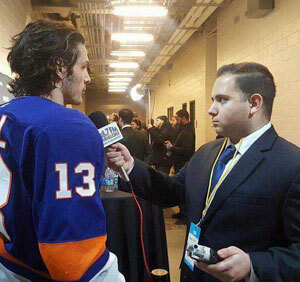 2018-19 marks the 9th straight NHL season, students at WRHU produced and distributed NY Islanders live game radio broadcasts. This season their work is airing on Radio.com, Sirius / XM Satellite Radio, “LI News Radio” WRCN FM, WRHU FM, NHL.com, and select games air on the worlds #1 sports radio outlet WFAN AM/FM New York City. 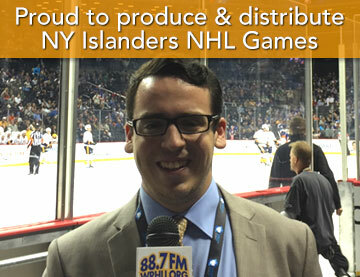 WRHU student staffers have produced and syndicated more than 675 live NHL game broadcasts since the 2010 NHL season. 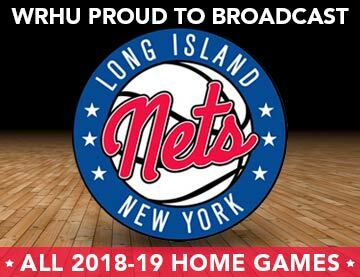 This year is the third season WRHU students are producing and airing Long Island Nets NBA G-League games. 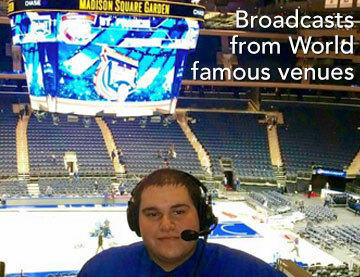 Students perform on-air roles for LI Nets broadcasts, LI Ducks baseball games, and Hofstra Pride game broadcasts. 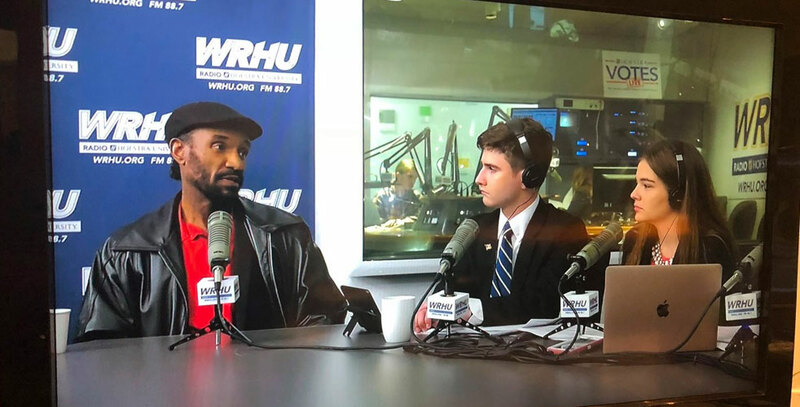 During election cycles, student journalists at WRHU cover many political events alongside professional reporters from major news outlets (ABC, CBS, NBC, CNN, etc). Students broadcast from radio row at the Republican National Convention, Democratic National Convention, Debates at Hofstra and from campaign headquarters of President Elect Donald Trump on election night 2016. WRHU is located near Manhattan. Staff learn and grow at Hofstra with internships at exciting broadcast companies in New York City. WRHU staff attend many media industry events likeTALKERS. 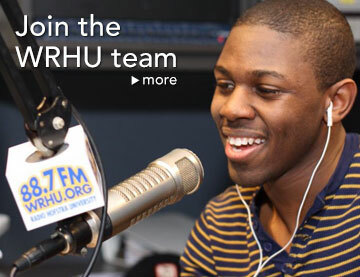 No other college radio station in the world can match the WRHU experience. Learn more about our affiliations, broadcast tools, and partners. 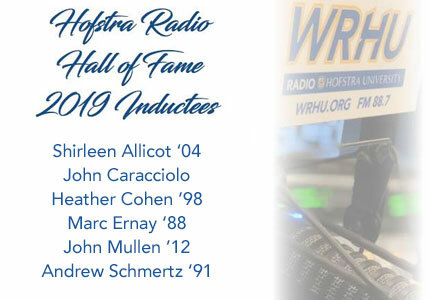 WRHU student sportscasters are world famous for engineering, producing, and performing on-air roles for 647 live NY Islanders NHL games for eight NHL seasons distributed to: WRHU FM, WRCN FM, WNYE FM, WCBS AM, WFAN AM, Salem 970 and Salem 570 AM, Sirius / XM, and the NHL Game Center app. 2018 Associated Press Award winners Nick Faria, Kenny Conrade, & Joe Sibilia celebrate with WCBS 880 AM Director News & Programming Tim Sheld (pictured right) and WRHU Ops Mgr John Mullen (pictured left). 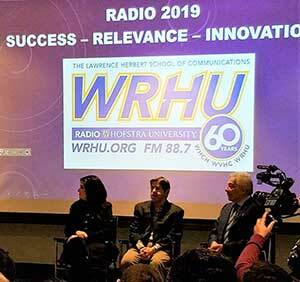 Hofstra University President Stuart Rabinowitz and a few members of the Radio Hofstra University staff proudly display the two NAB Marconi Awards earned by WRHU. WRHU student staff create cross platform content. 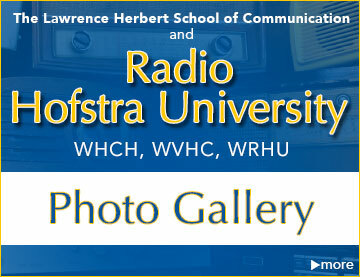 They collaborate with media outlets at the Herbert School for specials like “Hofstra Votes Live” and “Live From Studio A.” They also work with “Pride Productions” on Hofstra multi-media game broadcasts that air on GoHofstra.com. 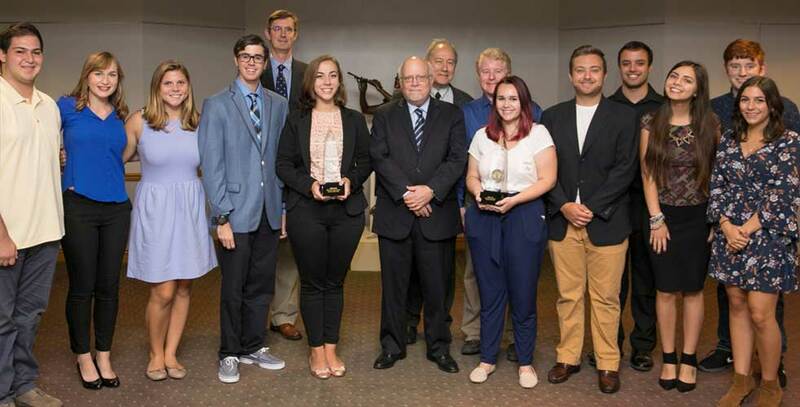 WRHU Gracie Award winners Danielle Zulkosky, Maria Santana, and Emily Sauchelli with Dean Mark Lukasiewicz of The Lawrence Herbert School of Communication.